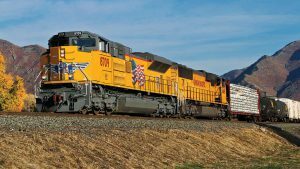 NORTHUMBERLAND, Pa. – Among the hundreds of operators that make the “first-and-last mile” business of short line railroading an ongoing success, the North Shore Railroad stands out. Staking its claim to carload freight in an area once criss-crossed by trains of anthracite coal, the North Shore Railroad has made this east-central Pennsylvania town an industry cynosure as the trifecta winner of three industry awards, including Railway Age’s 2017 Short Line of the Year. 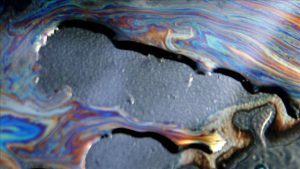 The operator – one of six short lines under the same corporate umbrella – was also celebrating its 30th anniversary as the operator of the former lines sold off by Conrail in the 1980s. 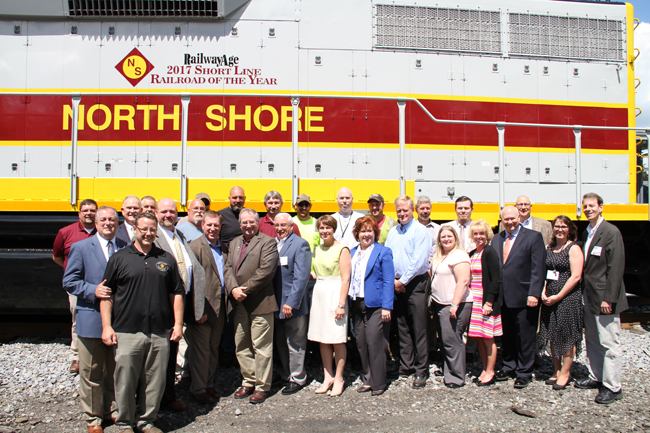 Railway Age honored the North Shore for its recent move into dimensional traffic, a new service that created a unique, year-long parade of high-and-wide shipments supplying construction of two power plants in the area. 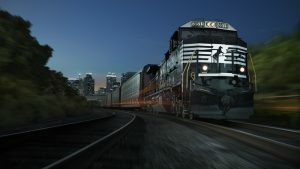 For its resourceful, out-of-the-crate thinking, the carrier also garnered awards from the American Short Line and Regional Railroad Association and Norfolk Southern Corp., which sent representatives to the event. 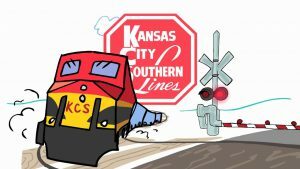 With customers in four counties, the North Shore operates on track owned by the SEDA-COG Joint Rail Authority, and is in negotiations to renew its operating concession. So, the event was an opportunity to highlight its vital importance to its customers –and as a local employer as well. For the day, the North Shore had some help blowing its own horn.